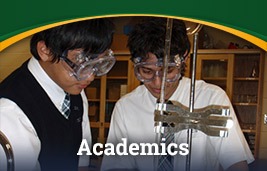 Académie Ste-Cécile International School welcomes boarding students from all over the world. 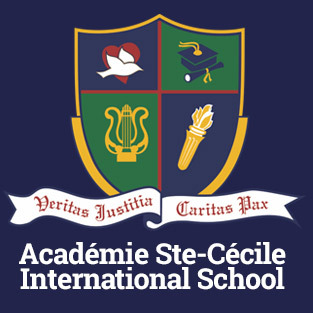 The Acádemie Ste-Cécile International School campus has two major dormitories, one each for girls and boys, which are securely located on separate floors of our main building. The rooms are designed for single occupancy and provide access to shared bathrooms and showers. Each dorm room is furnished with a wash basin, a single bed, a dresser, a desk, shelving, a locker and closet space. 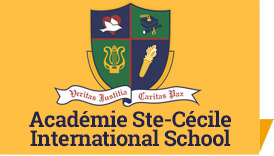 Acádemie Ste-Cécile International School boarders have access to our dining hall, where they can enjoy a balanced diet prepared on-campus in our five-star kitchen. Laundry and housekeeping services are provided on a weekly basis. 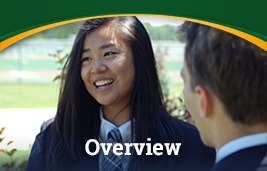 Under the direction of the Principal of the Boarding School and our staff of Supervisors, students learn to live and work together productively in a comfortable atmosphere. Our boarding students’ “home away from home” is organized, clean, cozy and safe. Life in the ASCIS community is in constant motion, alive with activity. Boarding students may be found working on their laptops, reading an assignment for the next day’s class or simply singing or playing the guitar with a friend. 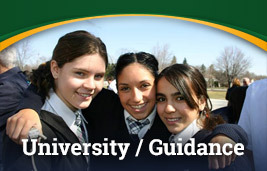 In this structured environment, after daily study hall, our boarders may engage in activities in the gymnasium, games room, outdoor leisure pool, or tennis and basketball courts. There are also comfortable indoor and outdoor areas for relaxation. As another component of residential life, ASCIS students have diverse opportunities for travel, sightseeing and participating in local cultural activities, such as plays, musicals and the arts. 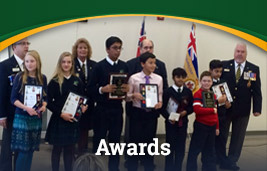 ASCIS boarders can also participate in several seasonal events unique to the Windsor-Essex region. 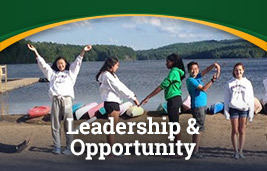 A typical day for a boarder begins at 7:00 a.m. with a rousing version of the William Tell Overture. After dressing, our boarders head down to the dining hall for a nutritious breakfast. Class begins at 8:30 a.m. By the time class has ended for the day at 3:30 p.m., the boarders are likely ready to let off some steam. To this end, the boarders often go for a bike ride, either with their own bikes or bikes supplied by the school. The boarders might also enjoy playing a few game of pool, ping pong or air hockey in our games room. 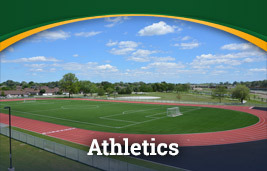 Of course, this is also the time at which school teams practise; many boarders play an integral part in campus sporting life at Académie Ste-Cécile. The hours after school also provide time for our boarders to go out for a walk and discover various landmarks of our tranquil South Windsor neighbourhood. Popular destinations include restaurants, the gym or Devonshire Mall, which are all within a short walking distance. On those occasions when the boarders need to go farther afield – perhaps for private music lessons or doctor appointment – transportation is provided by the school. At 6:00 p.m., Dining Hall begins. At this time, all announcements concerning boarding life are made. The food at dinner is fantastic, and there is always enough for a second helping. At 7:00 p.m., supervised study hall begins.At this time, students are divided into groups of fewer than 20, and teaching staff is present to assist the boarders with any homework-related concerns. Study hall ends at 9:00 p.m., at which time the boarders, having worked up an appetite, are usually ready for a snack in the dining hall. At this time, the boarders are also free to use the games room, go for a walk or even just socialize with each other until 10:15 p.m., when it is time to retire to their dorm floors. As the day winds down, the boarders can relax and visit with their floormates. When the clock strikes 11 p.m., they retire to their bedrooms and dream about the next day ahead.